Unitspark were established in 1988 and are still a family owned organisation. Today, the company has grown into a progressive business, operating at the forefront of Bespoke Mechanical Engineering. Our continued success has been powered by a strong reputation for quality solutions and unparalleled customer service. Unitspark’s attention to detail, knowledge of process control and value for money gained recognition in the form of a framework agreement from one of the main water utility companies in the UK, an agreement still in place today. We are a long standing holder of ISO9001 and continue to develop and grow based on an increased demand for our services from our ever expanding customer base. Today, Unitspark Ltd provides a total package of engineering innovations and solutions from initial consultation and survey through design, fabrication, installation and implementation to a wide variety of industries. 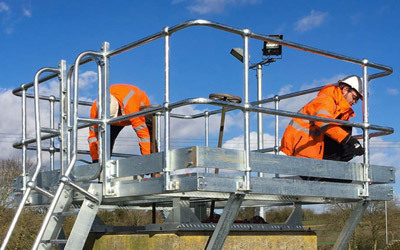 Unitspark work to the highest professional standards with only qualified and time served engineers on our staff. We offer a total quality managed service. 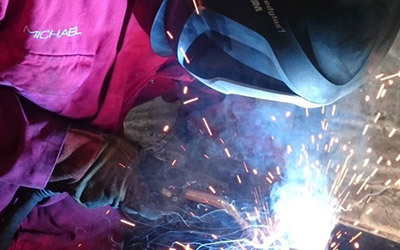 Our skilled workforce includes Project Managers, Sheet Metal Workers, Coded Welders, Fabricators and Fitters who possess up-to-date skills and design knowledge, are NEBOSH & IOSH qualified, certified in confined spaces and all hold CSCS cards. Unitspark Ltd is an environmentally conscious Company and as such we acknowledge the potential environmental impact that our Engineering, fabrication and installations operations may have on the environment. This policy has been endorsed by the Senior Management who give their full support to its implementation. The Senior Management in co-ordination with the Environmental Management Representative are responsible for ensuring that it is communicated, understood, implemented and maintained at all levels within the Company. Comply with all environmental legislation and other requirements, including codes of practice and guidance produced by regulatory bodies, where these relate to our environmental aspects. Maintain the environmental management system that fully complies with the requirements of BS EN ISO 14001: 2004, certified in Feb 2016. Prevent pollution to the environment, by ensuring that we manage Hazardous substance storage. This policy will be communicated to all employees and organisations working for or on our behalf. Employees and other organisations are expected to co-operate and assist in the implementation of this policy, whilst ensuring that their own work, so far as is reasonably practicable, is carried out without risk to themselves, others, or the environment. This policy will be reviewed annually by the Senior Management and where deemed necessary will be amended and re-issued. Previous versions of this policy will be archived and are available on request. This policy statement is brought to the attention of all employees by being displayed on site. It is also made available publically through our website, reception areas or as may be reasonably requested by an interested party. We exist to deliver Engineering excellence to our customers in a safe manner using committed and innovative resource whilst achieving the optimum return on our investment. Our fully equipped and staffed engineering facility is suitable for all types of general engineering, machining and general and bespoke fabrication. Unitspark provide fully qualified site personnel, for installation, maintenance and repair work, including confined space working. Unitspark offer a wide range of technical services and project management, ensuring we meet the demands of our customers.